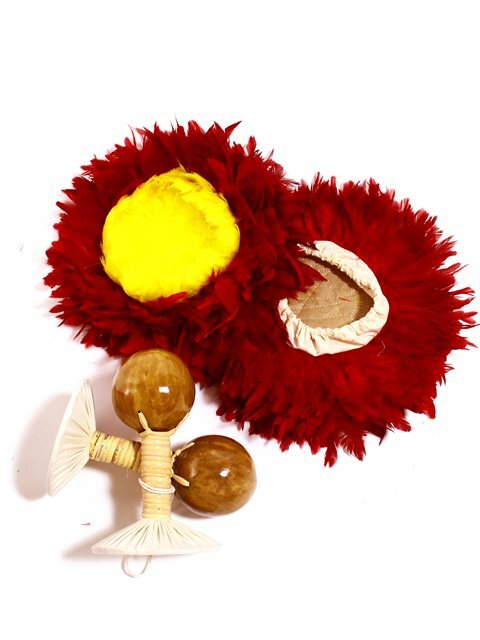 S (commonly used for young children and adults):9"-9.4"
M (commonly used for adults):10.4"-10.5"
stand-alone `Uli`Uli (feathered gourd rattles) . Liked detagible, and the feathers. Good size. Think sound of the rattle could be better.